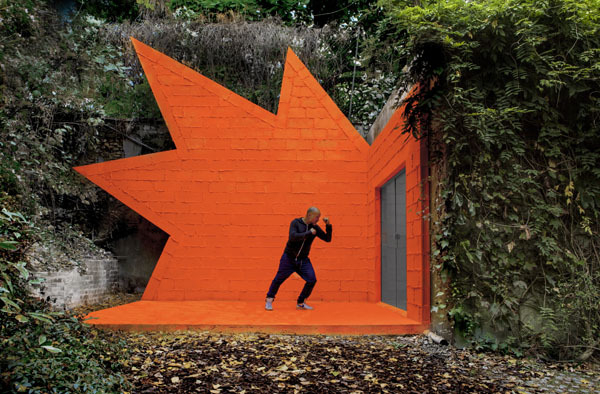 Natalie Seroussi lives in a place between art and architecture since 26 years at the Villa Bloc in Meudon. The setting of the famous villa designed in the 1950s by André Bloc, a precursor of contemporary architecture, impacts her work as a gallery owner, as well as her sensitivity as a collector. Every year, since 2008, Natalie Seroussi invites an artist to interact with this extremely unique architectural heritage. On the heels of Ernesto Neto, Mathieu Briand, Malachi Farrell, Michel François, Tobias Putrih, Phill Niblock, Natalie Seroussi has asked Didier Faustino to do a proposal as a visual artist, as well as an architect.